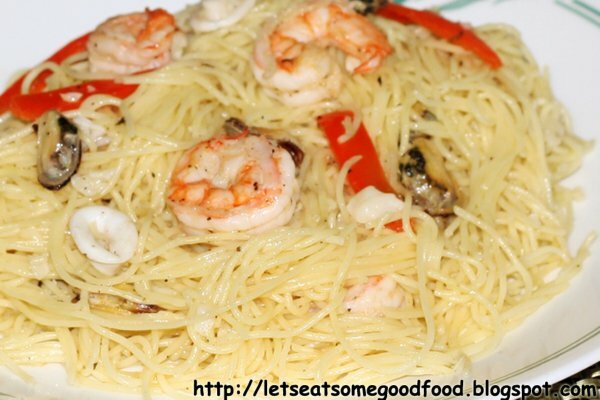 Seafood Pasta Aglio Olio Recipe – Eats Yummy! As we thought of cooking shrimp and pasta ingredients that we left over after we cooked one of our shrimp pasta recipes, we checked easy recipes for dinner online and we saw a seafood pasta recipe that’s worth cooking – Seafood Pasta Aglio Olio Recipe. We do love healthy pasta recipes and having another for the week is not a big deal. Our craving for shrimp scampi recipes continued so we had a quick run in the market to buy other ingredients. Shrimp and pasta recipes are excellent alternatives for vegetarians who love to eat shrimp dishes and pasta. Additionally, easy pasta recipes are usually what people are looking for when thinking about what to cook or when checking easy dinner recipes for two. Having this will absolutely save you time without compromising your appetite. You also need not to spend a lot as well as this recipe saves you money than dining out. You have probably been seeing this shrimp scampi pasta recipe in seafood restaurants nearby your area wondering, “Is it really ok to cook an easy homemade pasta recipe like this?” Well, this spaghetti aglio olio recipe is one of the easiest pasta recipes and one of the best shrimp recipes to cook. And if you are looking for healthy dinner ideas, this is definitely one option. Just follow the simple steps below and you surely be seeing yourself indulging with this shrimp and pasta meal. With the aroma and flavor of garlic mixed with your favorite seafood, this recipe for shrimp scampi won’t disappoint any foodie, young and old. And if you are into spicy shrimp recipes, you can add chili flakes to this recipe. 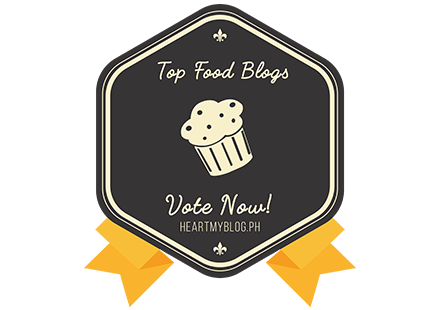 We do love sharing simple pasta recipes and healthy shrimp pasta recipes as they are not time-consuming, low budget, won’t take a toll on your health. No doubt that this really qualifies. So, without further delay, let’s do the cooking of this one of the finest pasta recipes with shrimp. – Cook pasta according to package directions. Additional note though: Do not add oil while cooking it. Add a little salt is a must. Wash and drain to avoid pasta from sticking to each other. – Heat olive oil in a pan. Keep low heat to preserve the natural flavor of olive oil and not burning it. Saute garlic until light brown. Add pepper and red chili (as desired). Stir well until fragrance rises. – Increase the heat and add shrimp, squid, and mussels. Add salt to taste and stir well for 3 minutes. – Keep heat low when the ingredients are cooked. – Finally, add the pasta and bell peppers into the sauce and mix it well. – Garnish with oregano, chili flakes (as preferred) and parsley leaves. As it cooks under 30 minutes, this is a good solution when thinking of easy dinner ideas. Let us know once you are done cooking this healthy food. Share how it taste and your experience with us by commenting below. Feel free to share our post as well if you find it helpful. Love the simplicity of this dish…really highlights the seafood! seafood is the food to my pleasure, especially if the cook with your recipe, of course great.